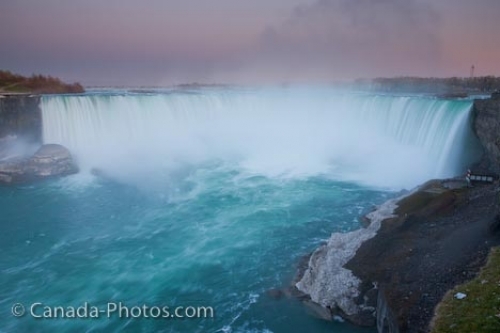 An evening view of the misty falls cascading into the Niagara River. The Horseshoe Falls is the one of three falls along the Niagara River. The name comes from the curve of the crest of the falls. The Horseshoe Falls is mostly on the Canadian side of North America.